We are all about assuring your family and friends have the most wonderful time celebrating what means the most to you. 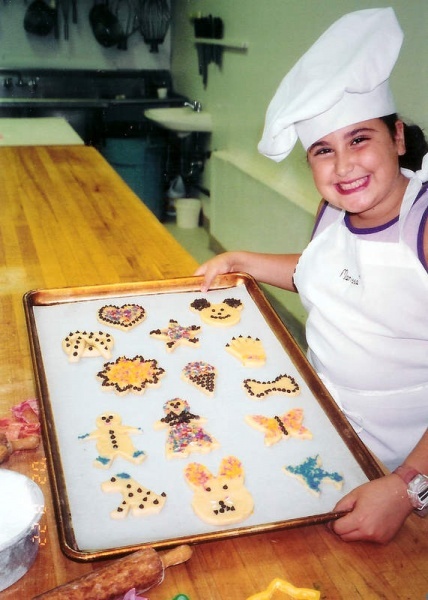 Our very hand-on baking parties and classes are designed for everyone, with a special emphasis on what is fun and entertaining, yet builds self confidence and sparks creativity. Our beautiful facility is thoughtfully built with an AUTHENTIC, custom exhibition style bakery kitchen where guests can really become bakers. All of this is complimented by a private party room, a fabulous café & espresso bar, unique desserts & more. Our parties are professionally created, designed and managed by the originators of baking birthday parties & baking classes for kids. 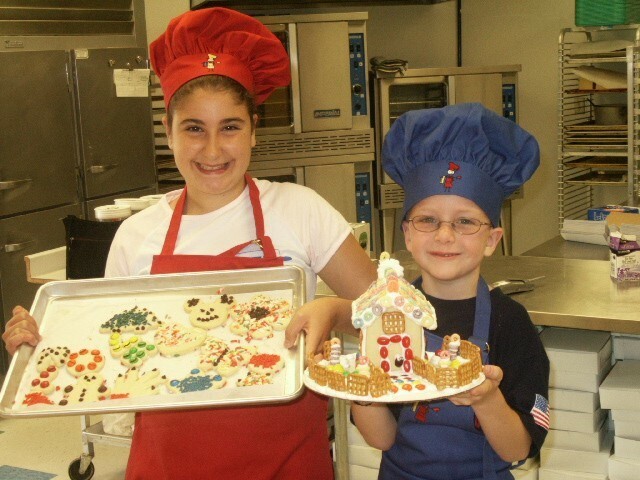 We have over 18 years of experience in baking with children & adults alike. Unique hands-on activities that are professionally designed for children, family & friends of all ages. Authentic, Spacious custom kitchen, private party room, gourmet café & bake shop too! Designed to spark creativity, instill confidence, promote learning, generate laughter and simply have Fun! All-Inclusive events where everything for your party is conveniently provided, children & adult guests alike. Attentive, well organized & friendly trained staff along with a management team with over 17 years experience in baking, training, catering & entertainment services. Convenient & easy to find location with plenty of parking. Minutes from most major highways. In addition to the culinary features of our parties, we now offer additional themes parents can add on to their birthday party selection. Popular themes include Shopkins, My Little Pony, Frozen, Princess and more. Our theme packages include a full complement of add on to our existing all inclusive baking package. Items such as a very special theme cake, theme paper goods (tablecloths, napkins, dishes,cups); special themed balloon bouquet for the guest of honor along with balloons for the guests and additional favors. We also expanded our adult menu options in addition to our cafe's full choice of coffee beverage service for the parents attending to include many freshly prepared food choices, all of which is freshly prepared by our very own chefs. So, reserve your celebration TODAY. The most unique, fun-filled, joyous event! 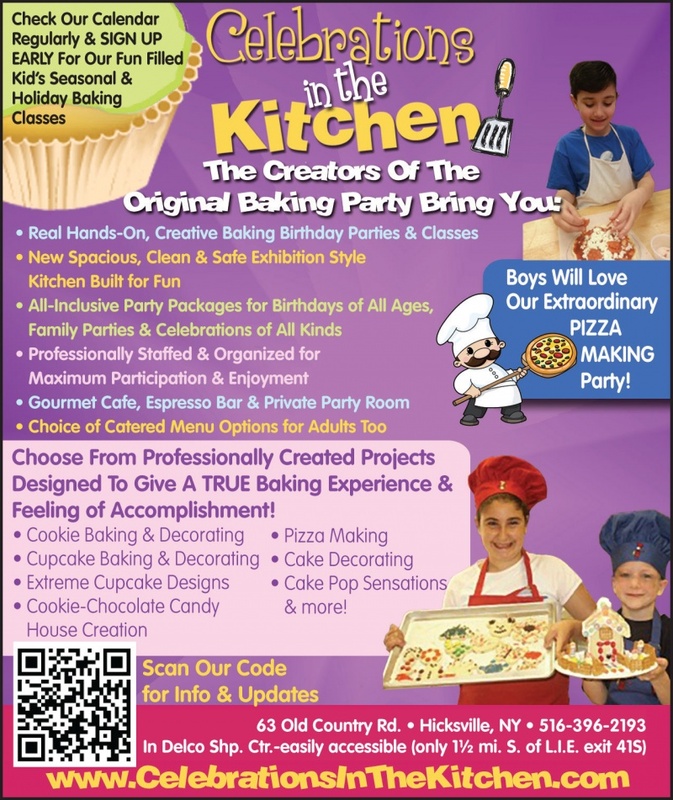 We have created a true baking experience for everyone to enjoy, including sugar cookie baking, all about pizza, cupcakes from scratch, doughnuts, chocolate and candy projects. Come in, call, or visit celebrationsinthekitchen.com for more information on parties.